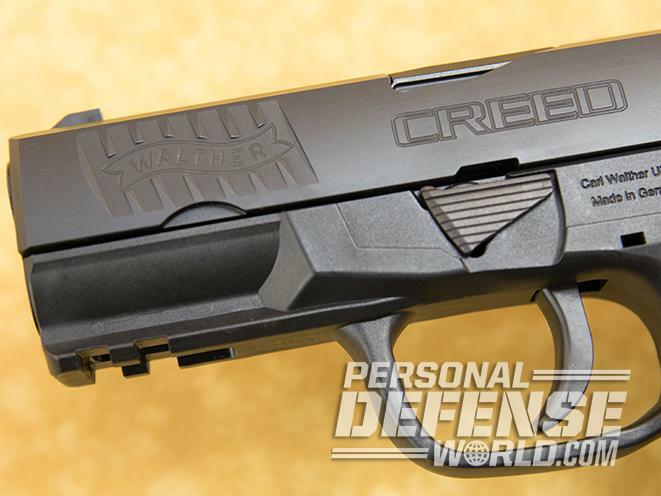 One creed we can all live by, Walther’s latest 9mm combines new technology and ergonomics with a price tag that’ll make your jaw drop—especially when you see how reliable it is. The Creed is easy to disassemble for cleaning and maintenance. Also note the Picatinny accessory rail and the magazine well, which has cutouts on each side for fast reloads. A small hole at the top-rear of the barrel hood serves as a visual loaded-chamber indicator. 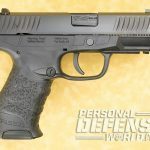 Despite carrying a 16-round double-stack magazine, the polymer frame is surprisingly thin, and like other Walther pistols, the cross-directional texturing on the grip offers more comfort and control in hand. 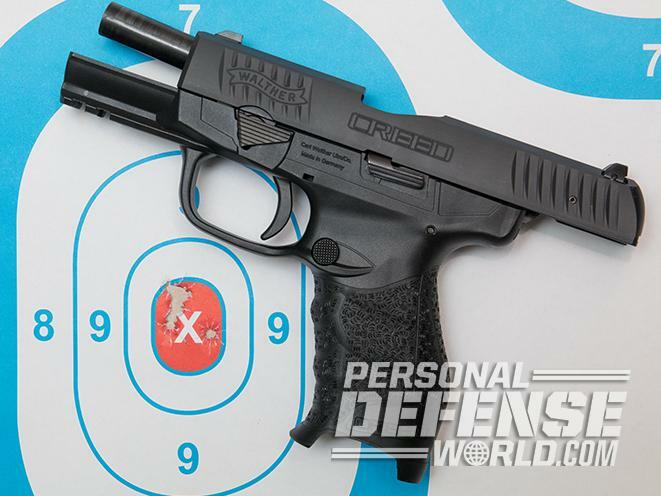 The Walther Creed ran over 1,000 rounds of 9mm ammunition from 13 different makers flawlessly, which is absolutely impressive for such an affordable defensive pistol. It’s safe to say, if you’re a regular visitor to this website, that you hold strong the creed, or fundamental set of beliefs, that all people have the unalienable right to self-defense given to them by their Creator, and that right is codified as sacrosanct in the Second Amendment to the U.S. Constitution. Arms of all types were considered by the founders of the country best held in the hands of its citizens as a means of defense against both a predatory government and the lone cutthroat. We humans use tools; we’re not equipped with naturally powerful weapons like claws, tusks or venom. Nor do we have camouflage to hide or the ability to fly to escape danger. To defend ourselves, a tool acts as a force multiplier—it makes us more powerful than if we face an attacker barehanded. It is the tool that allows the elderly and crippled to defend against a more powerful attacker. 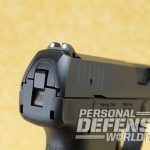 Having the tool you need for self-defense can often be an economic decision, as the most vulnerable in society are often the least able to afford a good-quality firearm. Since a cheap tool—be it a socket set or a handgun—will almost always cost you more in the long run, I would never purchase, nor recommend, a poor-quality weapon. Unfortunately, quality and price tend to be proportional—especially with lower-cost firearms. 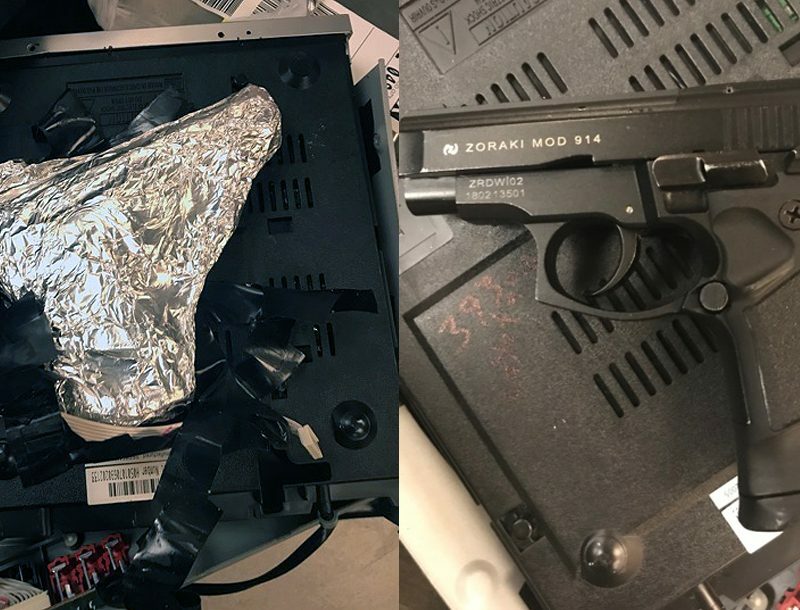 In many cases, inexpensive guns tend to be of poor quality. 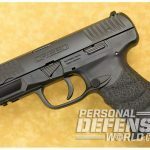 While there are some notable exceptions, I’m comfortable with saying that there are more reliable self-defense firearms above $400 than there are below it. 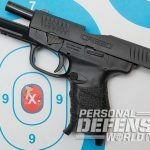 Taking advantage of modern manufacturing techniques to reduce costs, Walther is aiming a new gun at an underserved place in the market: reliable, but inexpensive, full-sized handguns. 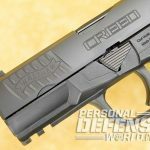 Announced late in 2016, the Creed is a 9mm pistol that Walther Arms is offering with a very aggressive $399 price tag. 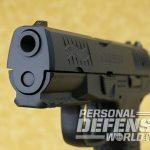 Since Walther makes high-quality firearms, I found the price particularly exciting: Could the company produce a top-notch handgun that was reliable enough for personal protection at that price? Walther sent me a production gun to review so I could find out for myself. 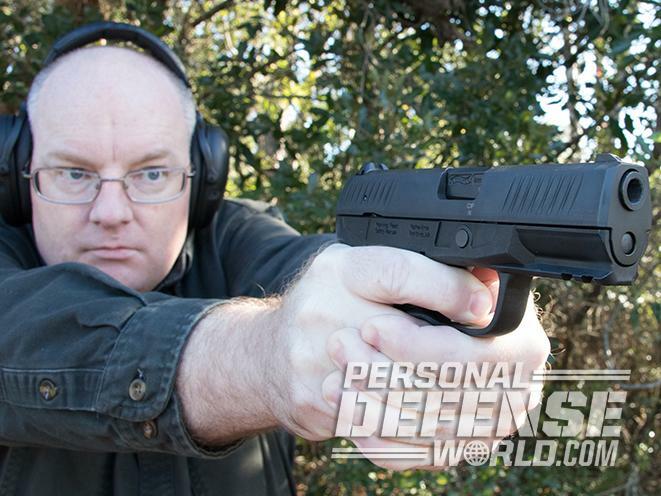 The 9mm cartridge is a solid choice for self-defense. While there are undoubtedly variations in performance between popular handgun cartridges, quality self-defense ammunition in 9mm has shown time and time again that it is just as effective as other popular calibers. 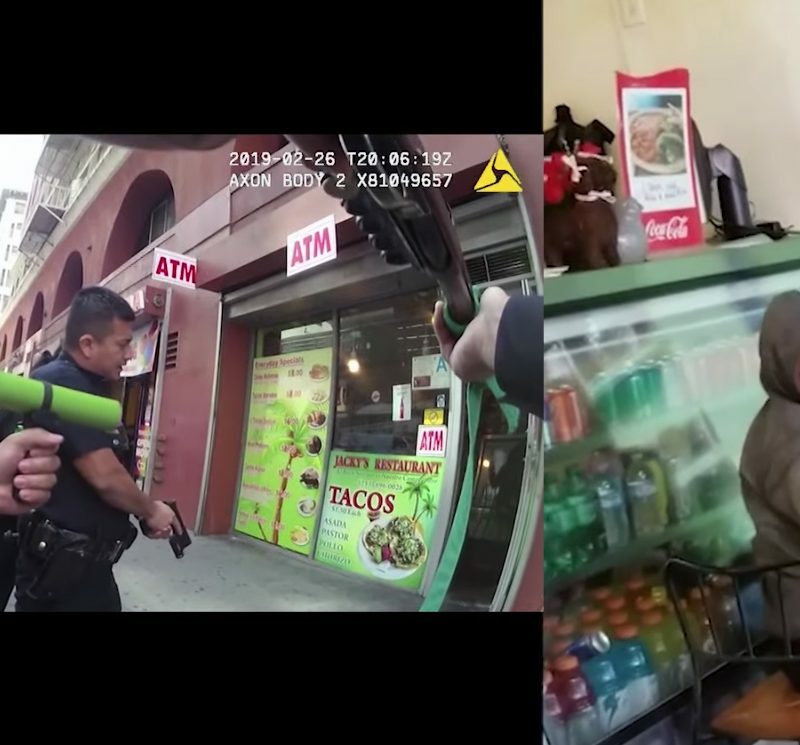 In fact, there are many police agencies that have begun a migration back to the 9mm after fielding the .40 S&W and other calibers during the past several decades. 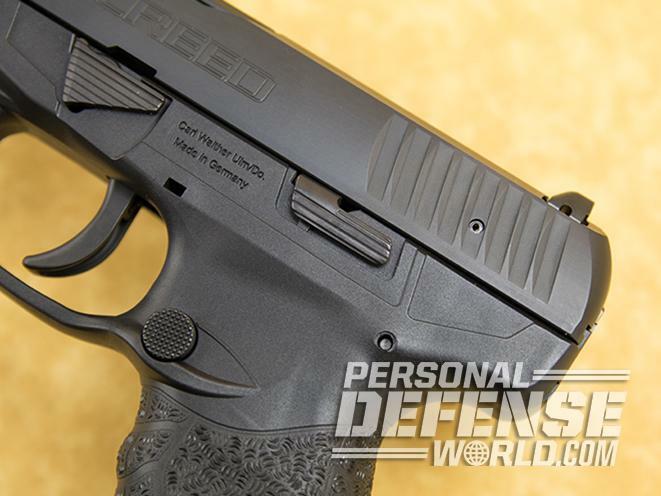 In the context of the Walther Creed, the 9mm also makes sense because of its affordability. For a buyer on a budget, ammunition costs are a factor in how often the gun is trained with. Right now, the 9mm is the least expensive centerfire handgun chambering I can find on the market. 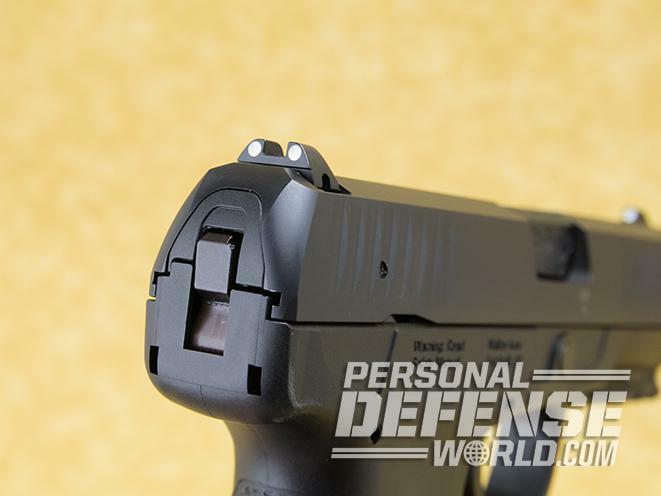 If cost is a concern, this is likely an important aspect in your gun purchase decision. 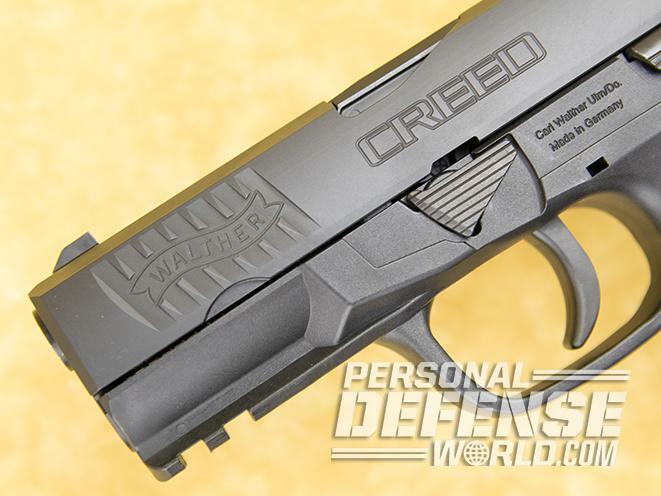 Walther elected to make the Creed hammer-fired. 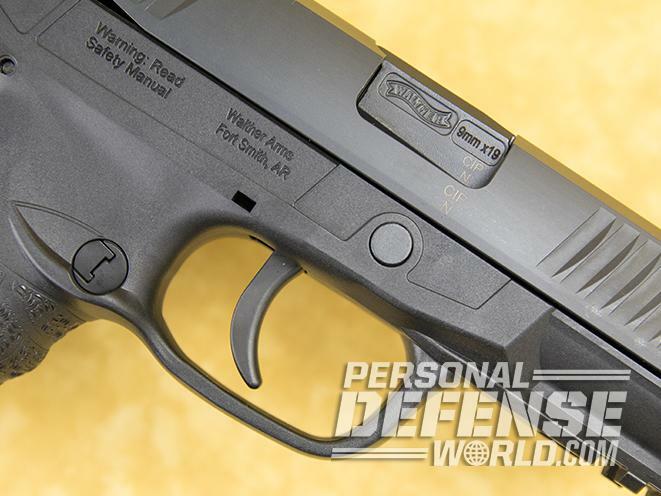 Many modern self-defense pistols are striker-fired, and Walther has its share of those. 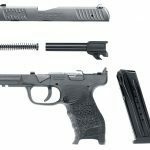 However, with this pistol, the company went with a classic ignition system. The hammer is small and mostly concealed within the rear of the slide. This ensures it does not snag on clothing if you decide to use the Creed as a carry pistol. While I found the Creed to be a bit large for daily carry, it can be used for this if you have the right holster and clothing selection. As you pull the trigger to the rear, the hammer angles back before dropping on the firing pin. Very little of the hammer is ever exposed outside of the gun. The hammer cannot be cocked for single-action shooting even if you try to catch it outside of the slide and pull it back with your thumb. 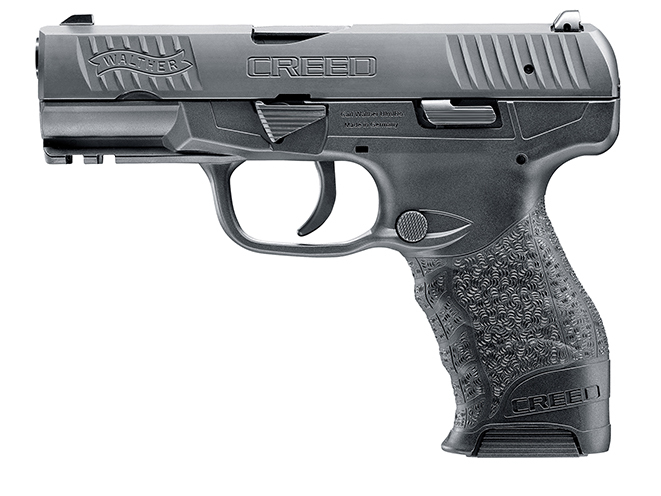 Like the Walther PPX, the Creed uses a pre-cocked, double-action-only (DAO) trigger to work the hammer. This gives the gun a very light-feeling trigger pull that is smooth with a crisp break. You do not have to let the trigger all the way out before the gun is ready to fire again. I would not say the reset is short, but it isn’t long, either. 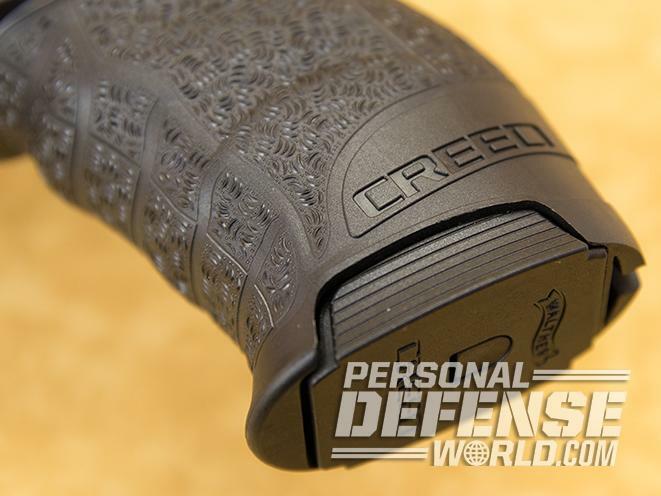 Essentially, the Creed gives you the smoothness of a traditional DAO trigger with the light, crisp feel of a good striker-fired gun. One of the really nice features about this pistol is how easy the slide is to work. Not only was it one of the first things I noticed about the test pistol, but my wife also noticed it right off the bat, too. She’s no slouch with a pistol, but as a smaller woman, she simply doesn’t have the same upper body strength that I do. For her, she can run a slide with heavy resistance but would prefer not to if given her druthers. I imagine a lot of people are exactly like her. 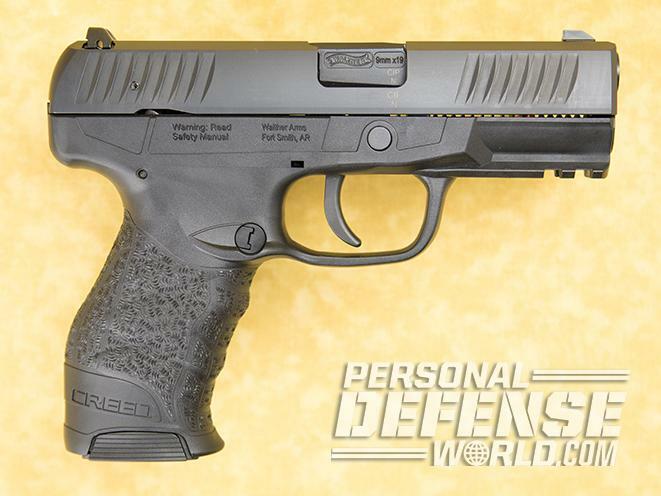 The magazine holds 16 rounds, and the Walther Creed uses the same magazines as those used in the PPX. This is great for shooters, as it means that there is already an ample supply of spare magazines in circulation. Your local gun shop should have a few on hand already. 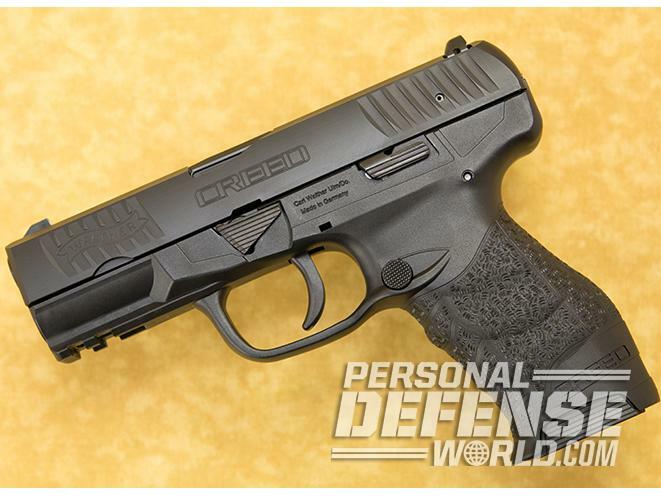 The Walther Creed has a large portion of the grip cut away at its base. Each magazine uses a relatively tall baseplate that tapers in toward its top, forming a pyramid-like slope. This textured slope fits into the frame cutaway and offers an excellent grip on the magazine should you ever need to strip it out of the gun after experiencing a malfunction. The baseplate is large enough to grasp while wearing gloves. 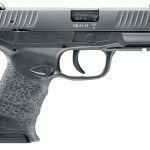 Walther did not cut any corners on the finish of the gun. The slide and barrel are both Tenifer treated and then finished in matte black. Tenifer is a kind of salt-bath ferritic nitrocarburizing process that hardens and seals the metal so it is more resistant to surface marks and corrosion. My test sample had no visible flaws in the finish, and it felt very good to the touch. 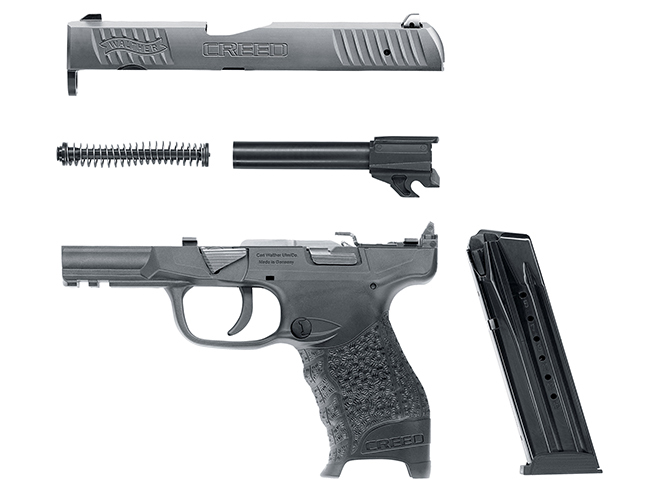 As with many modern pistols, the Walther Creed uses a polymer grip frame. 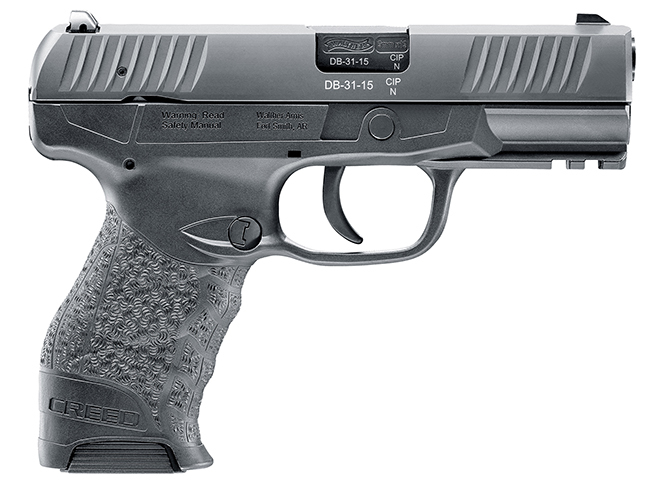 Polymer has proven to be a very reliable choice in nearly 50 years of service in pistol manufacturing. 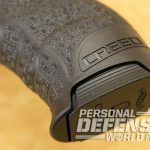 The grip area of the frame uses the company’s distinctive cross-directional texturing to help lock the gun in the hand without being unnecessarily abrasive. 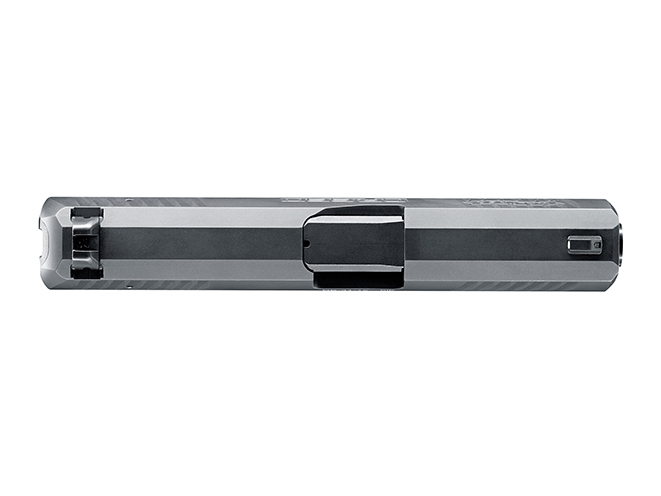 Even with a double-stack magazine, the grip of the gun feels thinner than some other pistols. For me, my small- to medium-sized hands can solidly grasp the pistol and my finger can press the trigger straight back. The bump at the bottom of the gun’s backstrap looks odd to me, but it fits into my hand perfectly. 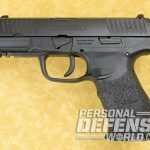 So, you might be asking “If this gun is so great, how is Walther able to sell it for such a low price?” Well, Walther hasn’t specifically laid out where the costs savings are in this pistol, but there are a few things that I can take a guess at. 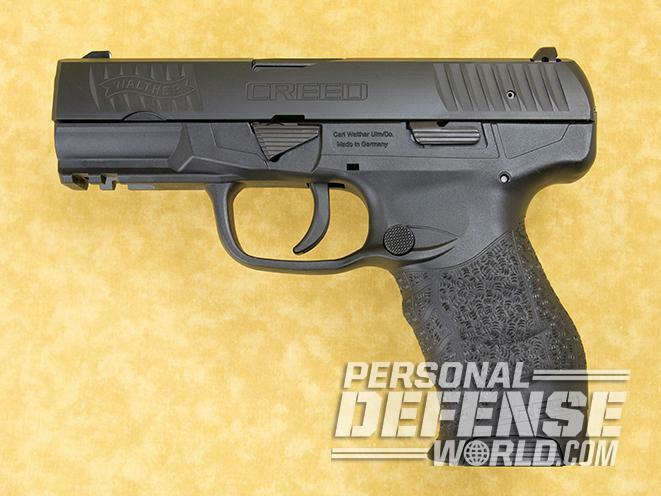 First, the Walther Creed does not have ambidextrous controls. Although the magazine release is reversible, the slide stop lever is not. If you are right handed, or a southpaw who is used to shooting a right-handed gun, this is not likely a problem for you. Second, the gun does not have interchangeable backstraps. 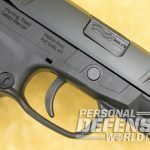 Other Walther pistols like the PPQ M2 do. While swappable backstraps can make a big difference in fitting a gun to your hand, you don’t need them if this gun fits correctly. The key is to get your hands on one in your local gun shop and see how it feels. If your trigger finger doesn’t address the trigger properly, you may wish to look at another pistol. But I suspect this pistol will fit many people just right. Lastly, there are a variety of manufacturing techniques that can be employed to save production costs without affecting the reliability or durability of the Creed. 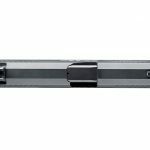 For example, the amount of machining done on the slide appears to be substantially less than that of the more expensive PPX. This shouldn’t affect reliability—just appearances. 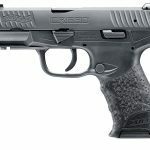 Before I go any further, I want to make sure that I am very clear on this point: Based on the production gun I had for review, the Walther Creed is a very reliable, accurate firearm that is perfectly suited for self-defense use. For a self-defense pistol, I insist on reliability. Accuracy, recoil, hand fit and everything else are also important, but if the gun is not reliable, it has no place in a self-defense role. 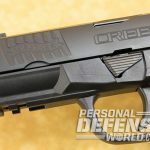 The Creed proved utterly dependable while also being completely capable in the other areas I value in a quality defensive firearm. With a little more than 1,000 rounds through the gun, I had no malfunctions of any kind. Not a single one. I tested 13 different 9mm loads. From hyper-velocity 50-grain hollow points to 147-grain subsonic loads, the gun ran all of them without a hitch. That is excellent performance at any price. 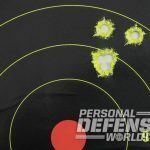 To start my range time with this gun, I put 150 rounds of Sig Sauer’s 115-grain FMJ practice load through the pistol to warm it up and see where I was hitting. After another 150 rounds of 124-grain ball ammo, I then got to testing the pistol with all kinds of personal-defense ammunition. 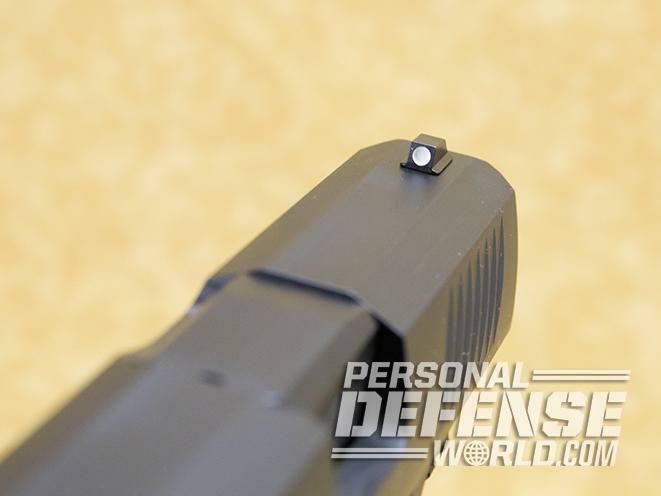 Sig’s 115-grain V-Crown jacketed hollow points are standard-pressure rounds that offered little recoil yet moved at a fairly zippy 1,162 fps on average. This load also turned in good accuracy. If you are recoil and noise sensitive, this may be a good choice for you. The velocity and bullet design should be adequate for expansion in flesh even after penetrating heavy clothing, yet the kick isn’t bad at all. For a thoroughly unconventional ammunition choice, take a look at Liberty Ammunition’s 50-grain Civil Defense load. 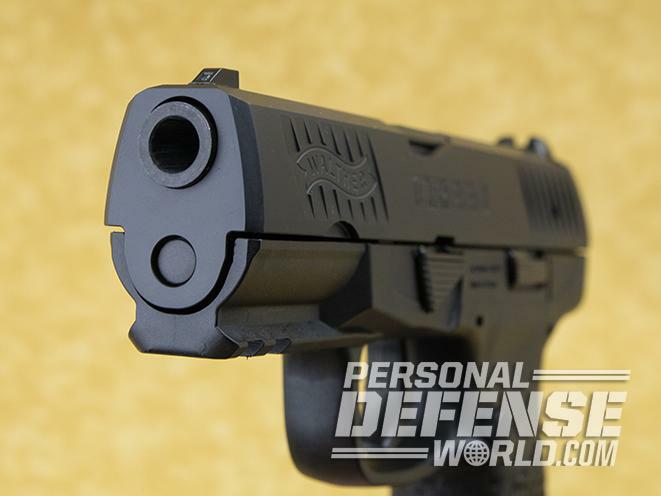 This lightweight round is loaded to +P pressures and throws a nickel-jacketed copper hollow point downrange at nearly 2,000 fps from the Walther Creed. 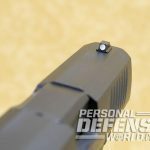 While heavy-bullet, high-pressure loads produce more felt recoil than many of the lighter offerings, the recoil was very light with the Liberty load. In fact, the felt recoil was so light I would not have thought I was shooting a 9mm handgun if I hadn’t loaded it myself. The downside is that the round does produce a louder report and more flash than the other loads I tested. The accuracy was good with all loads. 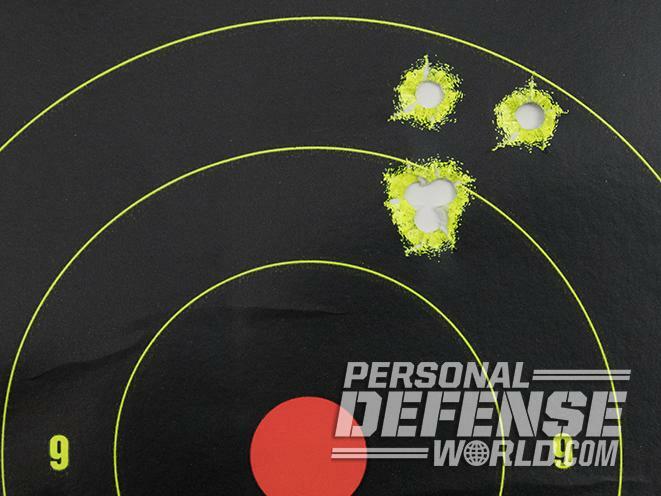 At ranges of 7 to 10 yards, I was able to put rounds into a 6-inch circle as fast as I could pull the trigger. With slower, more deliberate fire, five-shot groups of about an inch were possible. The most accurate rounds were Hornady’s 124-grain American Gunner XTPs. This load uses a hollow point that I’ve found to be a reliably accurate bullet in all of the calibers and weights I have tried. With this load, I got a best five-shot group of about 0.75 inches. 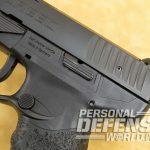 While the talking point on the Walther Creed might be the price, for me the bottom line is the top-notch reliability of the gun. As I’ve stated, for personal protection, I demand a gun that will work when I need it. The Creed proved itself in this regard. That the gun is both easy shooting and accurate further enhance its usefulness for self-defense. The sub-$400 price tag means that more people will have a good gun on hand should evil come calling. For that, the company should be lauded. For more, call 479-242-8500 or visit waltherarms.com. For more from author Richard Johnson, visit gunsholstersandgear.com. 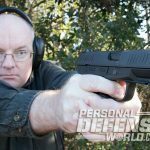 This article was originally published in ‘Combat Handguns’ May/June 2017. To get a copy, visit outdoorgroupstore.com. 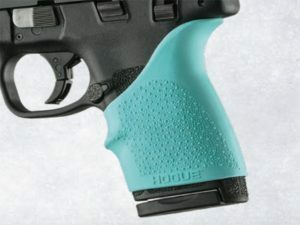 Hogue has expanded several grip lines to include their brand new Aqua color.